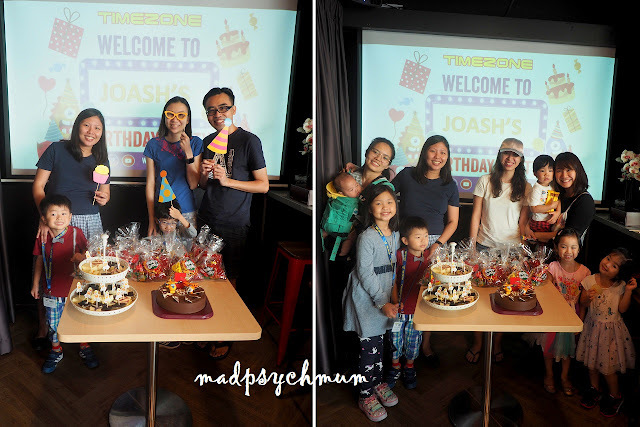 MadPsychMum | Singapore Parenting + Travel Blog: My Boy's Timezone-tastic 5th Birthday! 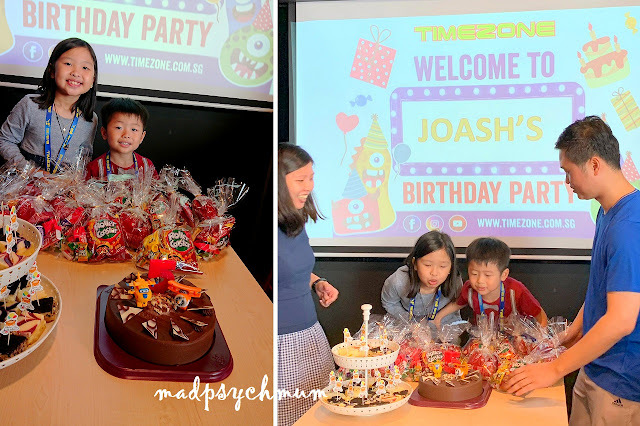 My Boy's Timezone-tastic 5th Birthday! When you are a 33-week pregnant full time working mother, you really don't want to be tired out by party-planning. 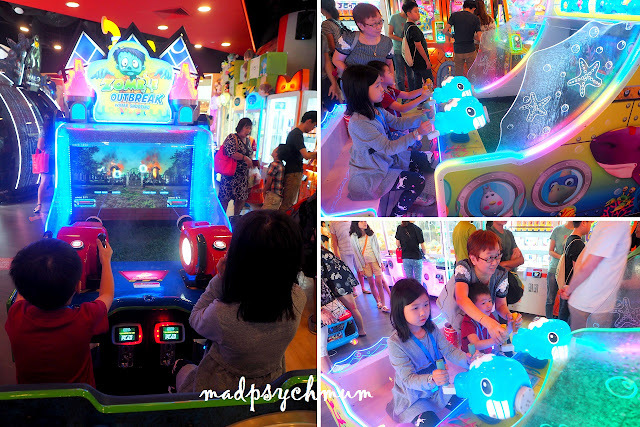 Hence, when the opportunity came to throw a fuss-free party at Timezone, I was all for it! 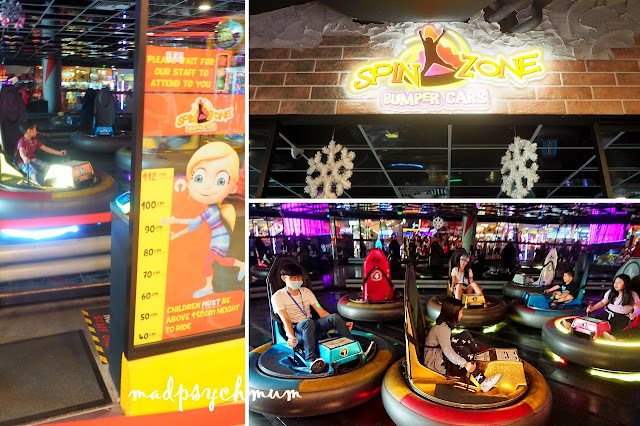 Timezone had recently opened a brand new outlet at Vivocity and it came with a party room for hosting parties. 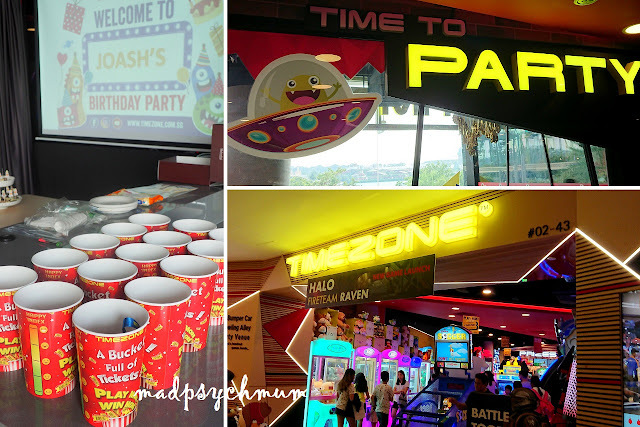 Time to party at Timezone! 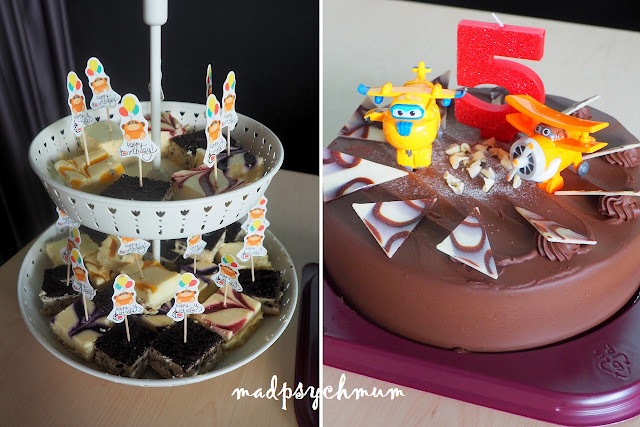 Simple desserts and a chocolate cake that I got from local bakery Melvados (located at Anchorpoint). 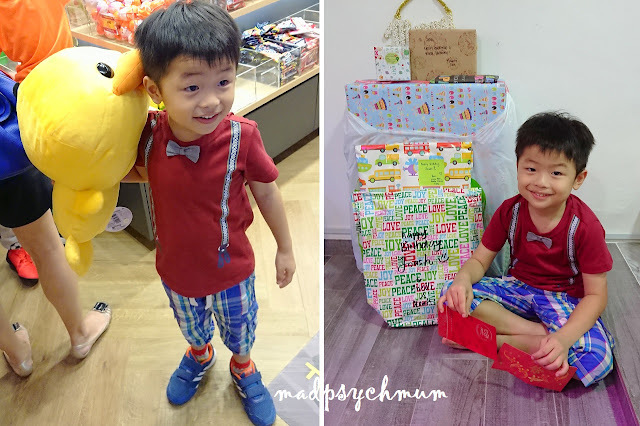 We decided to keep it simple with a mega candle and his favourite Super Wings toys. The party room had a nice kitchenette with counter space, a sink and a refrigerator. Do note that Timezone does not provide catering unless you specially request for it, which means you will need to prepare your own food, drinks, cutlery, plates, tissue and whatever else you need. Nevertheless, they do provide you with basic party stuff like a knife and lighter so you don't have to bring those. The party started with our party host giving out the Timezone cards and explaining how to use them. 5 games at special stations that are only available at Vivocity! 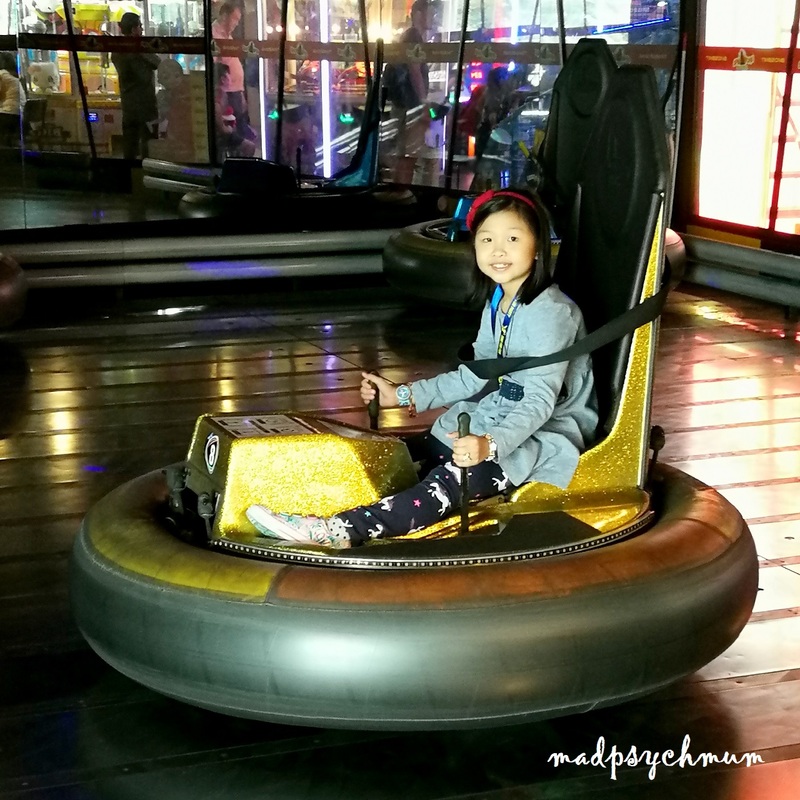 Getting lots and lots of tickets! Loving the full buckets of tickets! 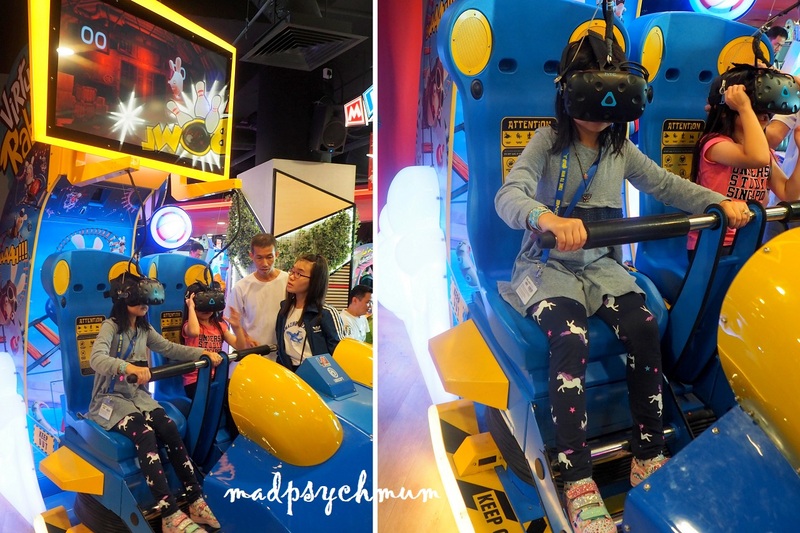 My kids also LOVED the special rides that were unique to Timezone Vivocity (at least I have never seen them at other outlets). 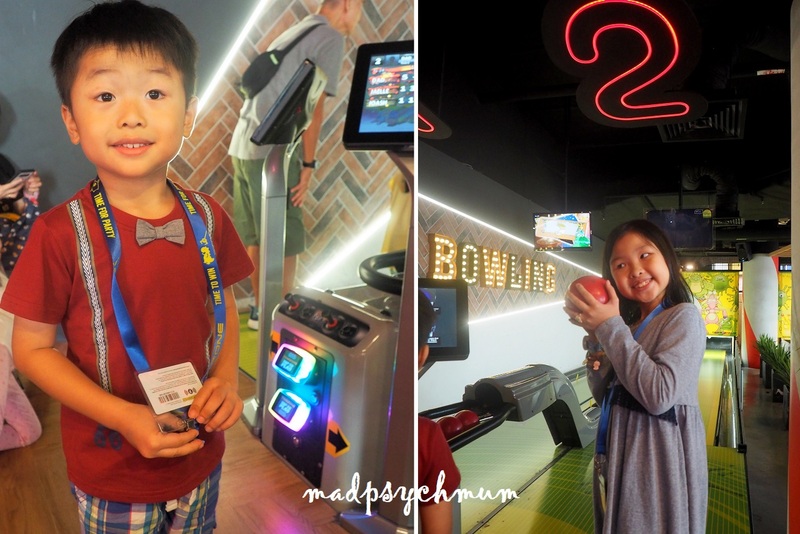 Excited that they get to do kid-sized bowling! 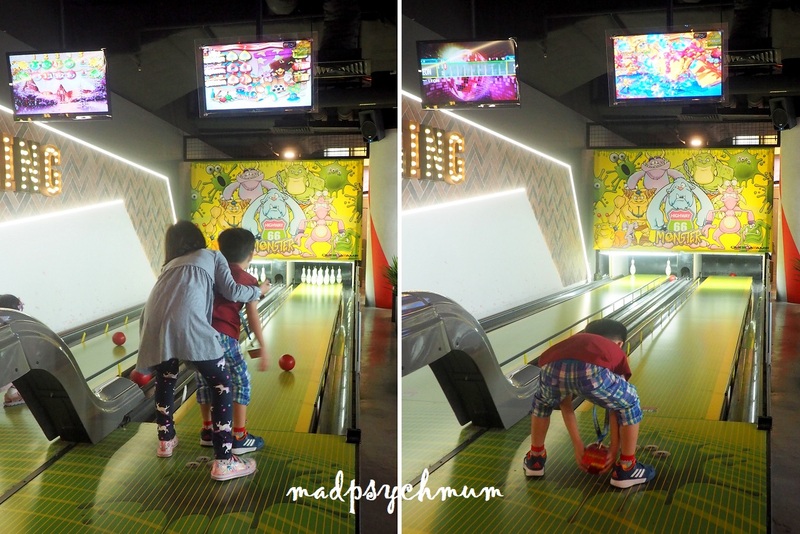 It's not often that they get to bowl with bowling balls that they can handle! 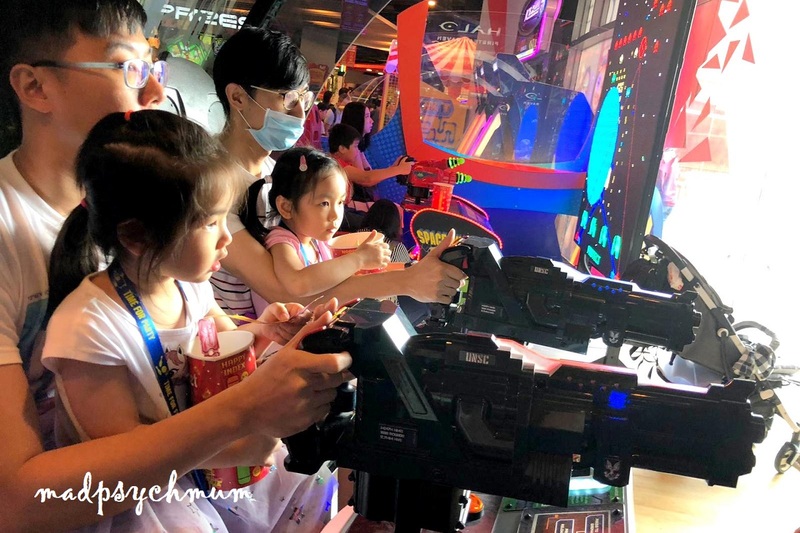 My kids really loved this game! They played twice and almost won their daddy! My girl does not like to ride real roller coasters but she has no problems riding a virtual one! She went on it sooooo many times! Of course we had to take group photos with all of our guests before cutting the cake. Birthday boy giving out the goodie bags provided by Timezone for all his guests! 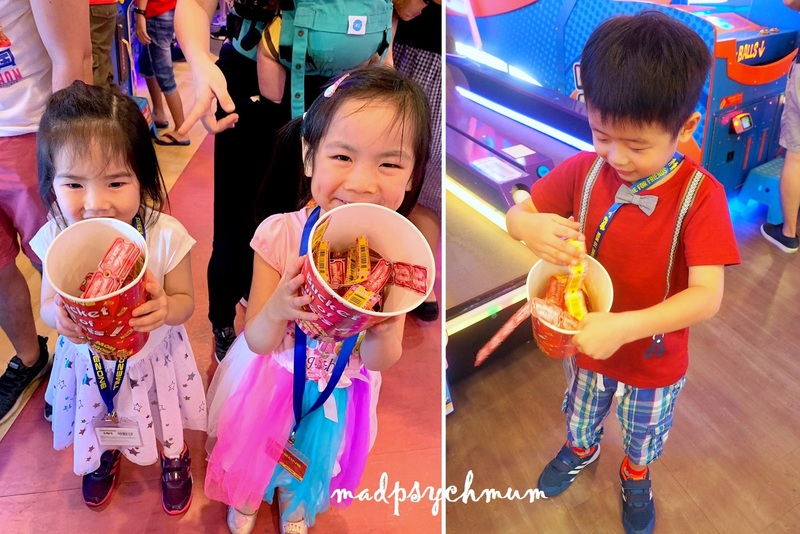 At the end of the party, our little guests got to redeem their prizes with the tickets they got. 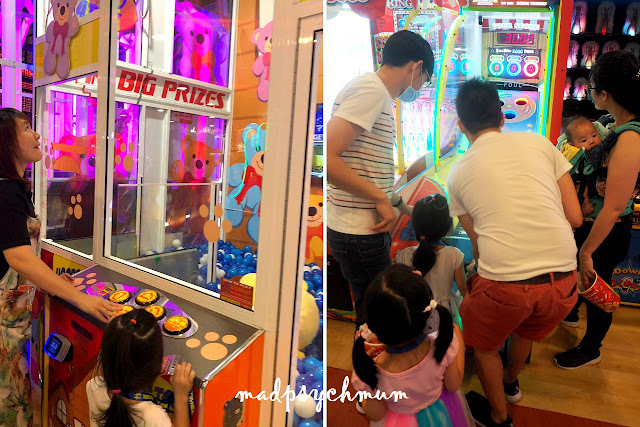 The birthday boy also got to choose a Jackpot prize from Timezone as a present (this was part of the birthday package)! Lots of Jackpot prizes to choose from! 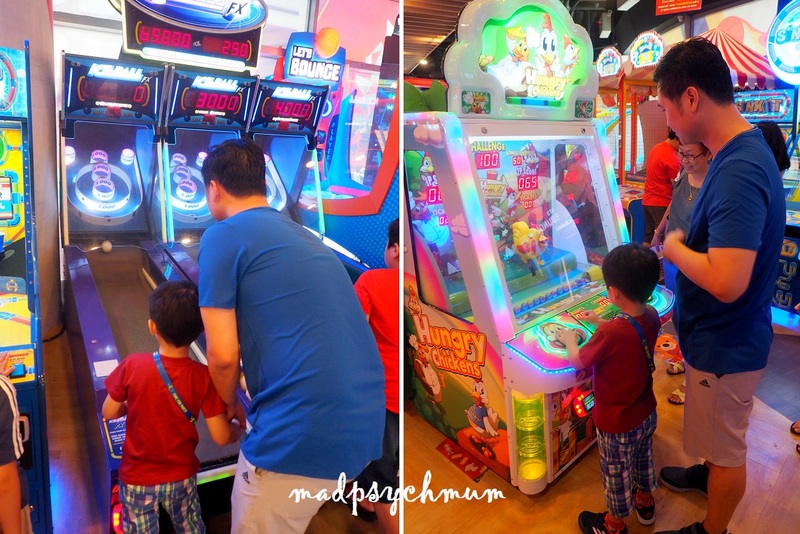 I'm thinking the ideal Timezone party should be for celebrating the end of PSLE, Sweet 16 or Forever 21 as the older kids will really appreciate the games and can play on their own. It's so hard to find party places for older kids so this is an excellent option! Adults can also consider booking the room for company team building events or year end parties! Or you can gather a group of 10 friends or more and throw a memorable birthday/bachelor/hen's party! I can think of so many possibilities! 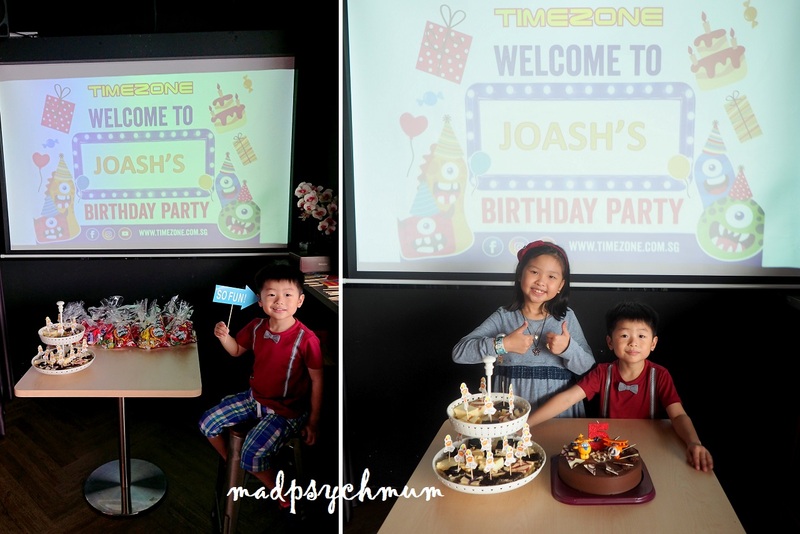 You can check out the Timezone website for more details on their party packages! Disclosure: Complimentary party package was received from Timezone for the purposes of this review. No monetary compensation was received; all opinions are my own.